OUR MOODS TAKE ON DIFFERENT MEANINGS AND PROVIDE US WITH A MESSAGE. Mood is rooted in the Old English word mōd and even then it offered many possible paths. An original translation of mood is heart, mind and feeling. Perhaps the message from both our heart and mind influence our mood. Another is courage, pride, grief and anger…it sounds like mood can transform into different forms of expression. The third is a state of mind, one that reflects a temporary moment in time with possibility for change. We have since added another description of mood. Mood can be influenced externally from something or someone which changes the atmosphere we find ourselves in. A new tone is suggested but do we move to the rhythm of this new beat? 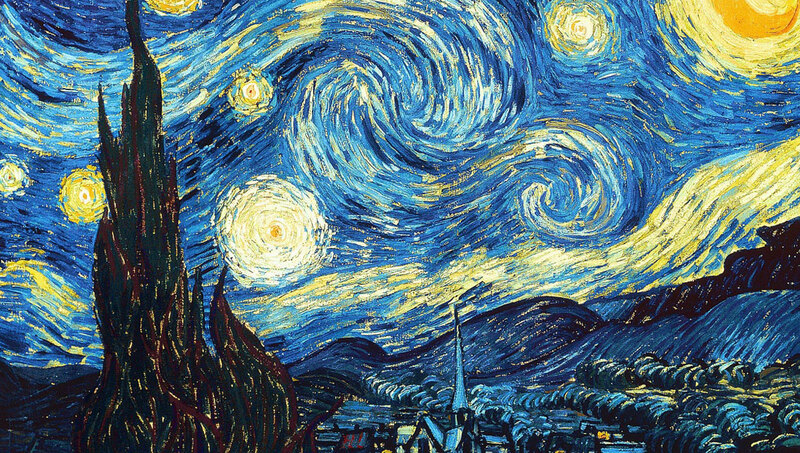 Consider the mood we find ourselves in when gazing at Vincent van Gogh’s painting The Starry Night. Our mood can also be influenced by the ambience of a firework display on a warm summer night. The feeling it gives you when you hear the soundtrack from Star Wars suggests another tone altogether. This is the mood we more often find our lives being influenced by, the mood around us not within us. A very close friend of mine shines her 60+ years of wisdom in the theories she develops. Her reflections become insightful paths for future action and never fail to make me smile. At around theory 700, it hit me. How we experience the world is largely dependent on our changing moods. Remember, we don’t have one mood we have plenty. None are negative, none are positive, they just are. Our moods can find peace and resolve. They can also find change and movement. I can tell you for certain, if my dear friend only lived in one constant mood, I wouldn’t have over 700 new possibilities in my life. One mood that stands out to me is positivity. A positive mood means something different to everyone and the expression of positivity can range just as widely. A common perception of positivity is reflected in optimism or a positive attitude. This offers a sense of confidence in the future, but if our outlook on life is negative can we still be in a positive mood? Another common belief of what a positive mood would be is through the expression of being in ‘a good mood’ or more commonly known as ‘not in a bad mood’. When I reflect on my experiences with the mood of positivity, I cringe. “She smiles a lot” is something I have seen on my evaluations for many years, indicating I bring positivity to situations. While this may be true, it’s not that I smile a lot that I’m in a good mood: I enjoy myself. When I’m not enjoying myself, it’s not that I’m in a bad mood or am expecting a negative outcome. Instead, in a situation where I do not find or express joy, I don’t tend to smile. One experience that has developed my personal meaning of positivity was about ten years ago, when I was a receptionist. It became quite clear to me that although I said the right thing on the phone, I didn’t sound like I was in a good mood. I needed to become more cheerful and was offered a mirror to smile at myself while I spoke on the phone. At the time I remember feeling that cheerfulness depended on the situation. A happy-go-lucky explanation to why there are still no jobs available confused me. Another time my sense of positivity came up was more recent, I was told that it wouldn’t hurt to put a smile on my face as I was being talked to. It left with me with a sense of uncertainty as the conversation didn’t set an optimistic mood for me. There’s not much harmony in the feeling of hesitation. Maybe it’s me or maybe it’s one of my friend’s theories but…don’t we get a say in what mood we are in? No matter the mood we find ourselves in at this moment, we have the power to change it, to accept it and to empower it. What did I do as a receptionist? I drank a triple espresso, hid the mirror and told myself to enjoy my time on the phone while it lasts, because it won’t last forever. What did I do more recently? I moved in another direction that allowed me to empower my personal sense of positivity. Where do we go from here? I have learned that I am often in a cheerful mood and offer joy when a situation gives me the message ‘I’ll enjoy it’. I have learned that I am often in a serious mood and become stoic when my situation sends me a signal for hesitation. I learned that my mood changes as it is influenced and as I influence it. When we reflect on our experience with the many moods we have found ourselves in, we simply find meaning in them. It gives us the ability to be confident in what mood we are in and how it can appropriately reflect our situation. We can give meaning in our mood when we become the messenger. Together let’s say, ‘it’s my life, my choice and I have something to share’. Let’s experience life as we want to, not as we should. This wave of wisdom is rooted in the lifeworlds we all share.